What's my Trinity Falls home worth? Situated on the banks of the Trinity River, Trinity Falls is a 1,700-acre master planned community just northwest of McKinney, Texas. Enjoy a wide selection of Trinity Falls Homes for Sale & Real Estate, unique and plentiful amenities, fun community events, miles of hike-and-bike trails and more than 450 acres of open space, all just a short drive from historic Downtown McKinney. You will feel it as you drive into the community – a special place with beautiful landscaped boulevards, neighborhood parks, miles of trails and generous amenities. 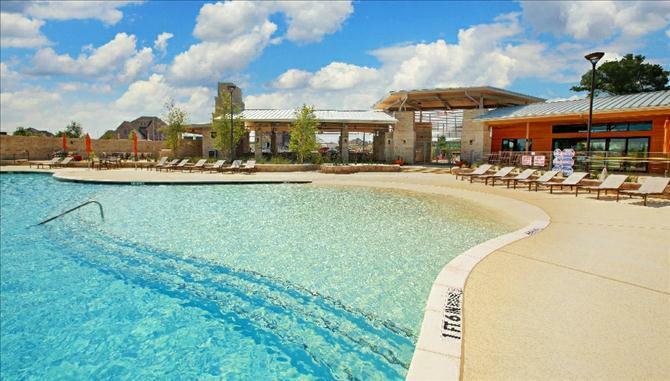 Trinity Falls has emerged as one of the best place in North Texas to live, work, and play. Several major companies (Toyota Motor Company, State Farm Insurance, Liberty Mutual Insurance, FedEx and Nebraska Furniture) are flocking to the North Texas area due to the prime real estate, excellent climate and thriving economy leaving hundreds of employees looking to purchase Trinity Falls Homes for Sale & Real Estate. Trinity Falls residents enjoy meeting friends for a wide variety of community events at The Club at Trinity Falls Amenity Center. Take a swim, catch a dive-in movie while floating in the pool, join a community club or enjoy a parents’ night out. Trinity Falls has ample amenities that make it easy and enjoyable for you and your family to spend time together outside and connect with neighbors. 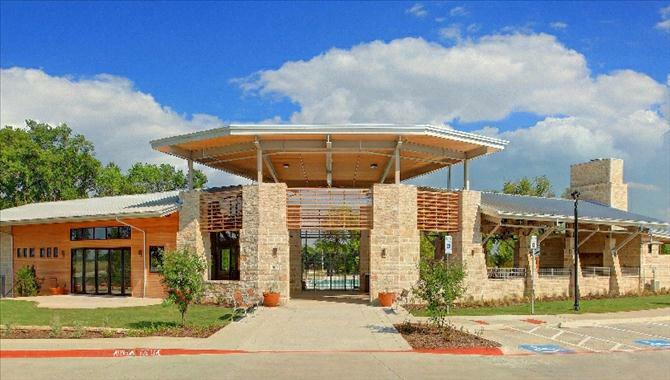 Home to 150+ acres of manicured green space, multiple playgrounds, green belts, hiking/biking trails a health & fitness center sand volleyball courts, basketball courts, tennis courts, bocce ball courts and neighborhood gardens. Trinity Falls is primarily new, single family homes and is perfect for the first time homebuyer or a family looking to move up in size. Trinity Falls Homes for Sale & Real Estate ranges from around $180k to $1+ million. Information about Trinity Falls Homes for Sale and Trinity Falls Real Estate can be found calling or stopping by our office located just South of Trinity Falls in the master-planned community of Castle Hills. Stop by or call Renee Mears Realtors for a list of currently available homes in Trinity Falls. When looking to buy a home in Trinity Falls or sell a home in Trinity Falls it is always best to use an experienced Trinity Falls, Mckinney Realtor. Local builders include: Plantation Homes, Meritage Homes, Perry Homes, Highland Homes, Gehan Homes, Ashton Woods Homes, Beazer Homes. If you are interested in Trinity Falls Homes for Sale & Real Estate call Renee Mears at 972-489-0828. Why go thru the hassles of building when you can have this barley lived in home located in the Master planned community of Highlands at Westridge. Popular 4 bedroom 2.5 bath home offers an open floor plan which is ideal for family and entertaining. A few of th upgrades inc granite counters, extended tile flooring and covered patio with expanded open patio. Home shows great. MLS# 14062621 - Built by Ashton Woods Homes - June completion! 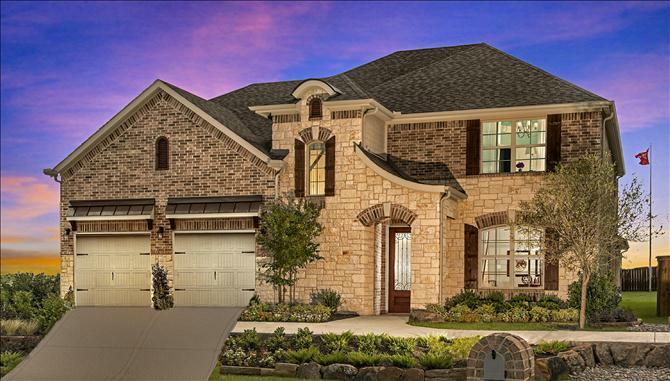 ~ Beautiful new home only 21 miles to Legacy West in amenity rich master-planned community near US-75. Brick & stone exterior home with a rotunda entry & foyer, 2-car tandem garage & hardwood flooring. Three secondary rooms off the elongated foyer. Formal dining room open to the family-kitchen-breakfast area which features a tile fireplace & Quartz countertops in the kitchen. Master bedroom bay window lets in extra natural light. Master bathroom complete with a dual sink vanity, soaker tub, shower with seat, linen closet & spacious walk-in closet. Outdoor covered patio is great for outdoor dining or relaxing on a cool summer night. Only 4 left, this flawless home has it all from the custom flooring to the impressive trim packages and an open floor plan. A gourmet kitchen offers granite counters, SS appliances, tall cabinets and ample storage. You will fall in love with your master retreat every time you step into it with the neutral paint, dual sinks, and walk-in closet. Tucker Hill is the perfect retreat for your active lifestyle. Make Tucker Hill Your Home Today!